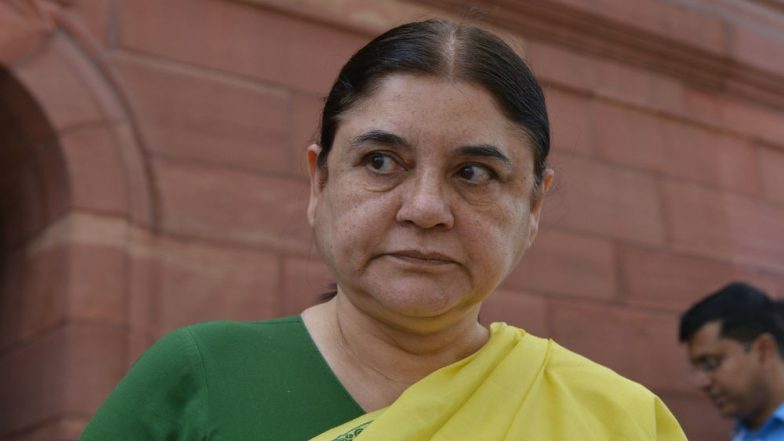 New Delhi, April 15: The Election Commission (EC) on Monday restricted senior BJP leader Maneka Gandhi from campaigning for 48 hours for violating the Model Code of Conduct. Maneka Gandhi had recently made a controversial comment on Muslims in one of her rallies. Azam Khan's Derogatory Jibe Row: Akhilesh Yadav Comes Out in Defence, Yogi Adityanath Says 'Shameful'. Addressing a public gathering in Sultanpur, Maneka was seen coercing Muslim voters to vote for her or else she would "not work for them after coming to power.” Azam Khan on 'Khaki Underwear' Comment Against Jaya Prada: I Will Not Contest Polls if Proven Guilty. Gandhi had said that her win from the Sultanpur Lok Sabha constituency is certain “with or without” the support of the Muslims and the community should realise it since they will need to get their work done once the BJP is in power.” You have to recognise that this victory is sure without you and even with you, and you will have to spread the word,” she said. Emphasising that she had distributed Rs 1000 crore for Muslim institutions to flourish, she said: “You came to seek our help at the time of your need. But, if you say during election time that we will not vote for the BJP and instead vote for any other party which can defeat BJP, then it breaks our heart”.” I have already passed this election. But now if you have to lay the foundation for getting help then this is the right time to do so,” Maneka added while indirectly calling upon the Muslim community to vote for her. Parliamentary Elections are underway in Uttar Pradesh as well as throughout the country. The first phase of elections have already been completed. Earlier, the Election Commission also barred Samajwadi Party (SP) leader Azam Khan, Yogi Adityanath and BSP chief Mayawati.